So much to send out,so many documents to create, but so little time to design them…unless a template like the Avery 8387 Template is used. 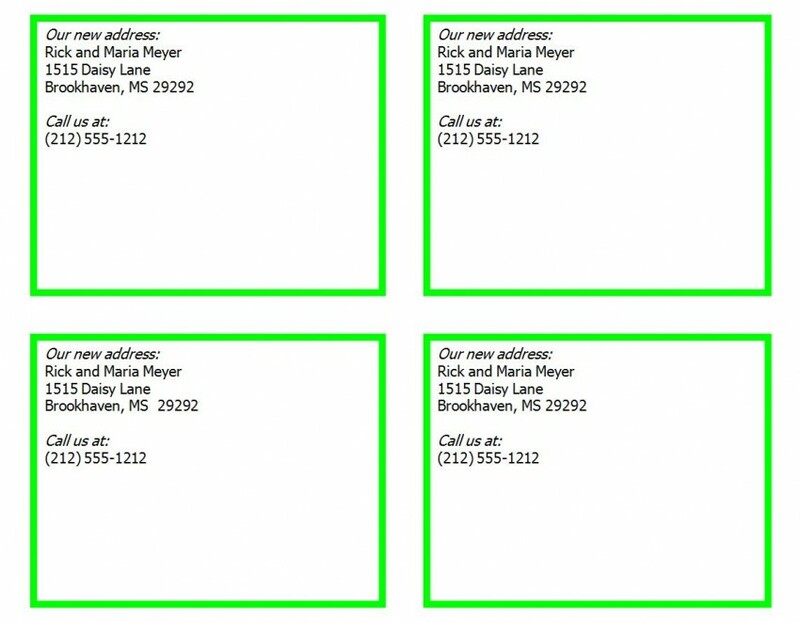 Avery provides a template that makes postcard design easier. Download and print the Avery 8387 template for free right here today! If the above are not available, one use can the Avery Design and Print Online, or the software product Avery Wizard for Microsoft Office. For Microsoft Word users, if you get a template that looks like a blank page, select Table > Show Gridlines to view the template layout. Enter the name of the graduate under the graduation year. Put a message on the back if you want. 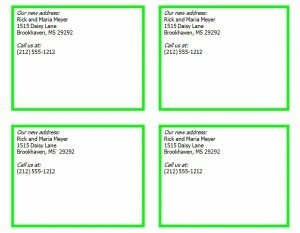 When it is finished, you can print 4 postcards per page,the cards will be 4.25″ x 5.5″ (A2 size). 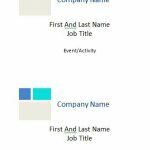 The Avery 8387 Template can also be utilized by others to fill any needed information. Recipes postcards can be downloaded and printed out for others to write in their recipes. If you want to have deck of “TO DO LIST” cards, the Avery 8387 Template provides that for download also. 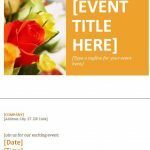 The Avery 8387 Template makes designing event announcements and other graphic design projects for postcards an easy project. Here at Templatehaven.com we do not sell any type of Avery® branded product. “Avery ®”” in addition to any other Avery-branded product names & SKU trademarks are property of Avery Dennison Corporation. 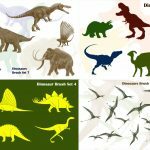 None of the content and/or templates on Templatehaven.com are sponsored nor endorsed by Avery Dennison.